No Needles Required. Plump, fill and relax wrinkles with Full Appeal™ Face Plumping Complex and ULTRA or Original Relax-A-Line wrinkle-relaxers. 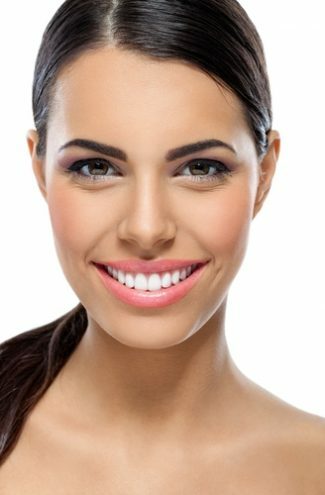 You can plump and fill, adding cushioning where you want it, just like injectable fillers but more slowly. Full Appeal™ Face Plumping Complex adds back volume where you want it to restore a younger, fresher look! Get your cheekbones back! Let ULTRA Relax-A-Line and Original Relax-A-Line wrinkle-relaxing serums smooth and tame stubborn wrinkles before they become permanent grooves. Just twice a day use reduces wrinkle depth substantially. 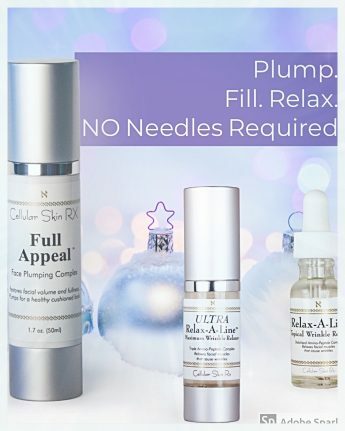 Want to plump and fill with Full Appeal™ Face Plumping Complex? Find out how here! Want to relax wrinkles with ULTRA or Original Relax-A-Line wrinkle-relaxers? Find out how here!